The BID is pleased to be supporting the Luton Best Bar None scheme this year. The launch will take place on Monday 3 rd September, 6pm at the Red Lion , where you will receive information on how being part of the programme can benefit your business. Best Bar None is an Accreditation Scheme with National Awards supported by the Home Office and the drinks industry and is aimed primarily at promoting responsible management and operation of alcohol licensed premises. If you are venue with an alcohol license and would like to join us please email us HERE or call 01582 510 657. 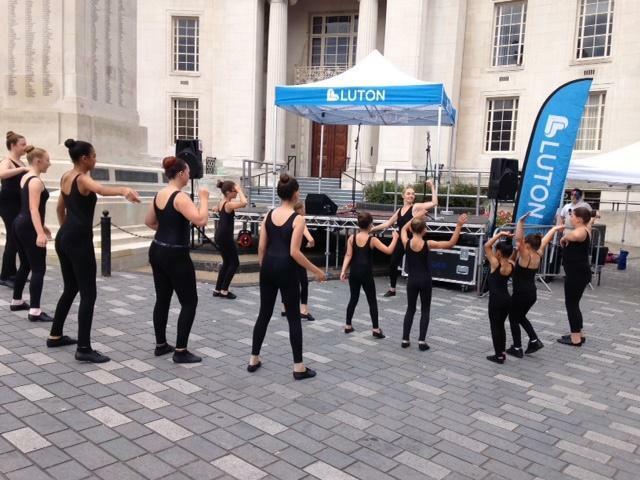 Our next Luton Live event will take place on Saturday 8 th September in St George’s Square from midday to 4pm. This is the fourth Luton BID-funded Luton Live event of 2018 and acts will include The Big Hat Factory Choir, entertainer Alice Mayhead, singer-songwriter Steve Warner, Next Generation Youth Theatre and Tina’s School of Dance. The acts will also be commemorating 100 years of the end of the First World War. If you or your business are running events from October 2018 to January 2019 and would like to work in partnership with other organisations doing the same you are welcome to join the Luton Strategic events group. The next meeting will take place on Thursday 13th September, 3pm. For further details please email us HERE . It is 100 years since the end of the First World War and Luton BID would like to help town centre businesses mark the occasion. If you are planning to dress your shop window, sell any commemorative memorabilia or run any events, please get in touch so that we can share your news and photos across our Luton BID social media channels - great PR for your business. Contact us HERE .